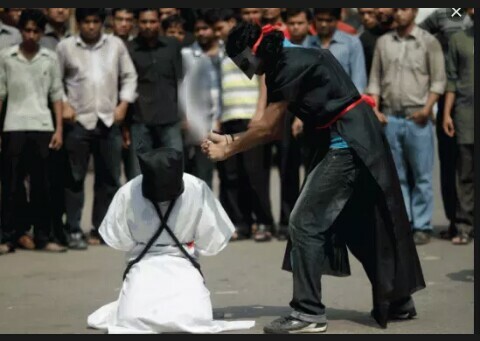 Saudi Arabia’s head cutting specialist has revealed the chilling details of how he beheads Nigerians and other people sentenced to death for drug trafficking and other offences. Muhammad Saad al-Beshi, a black man, stated this in a rare interview with Arab News, a Saudi Arabian newspaper. 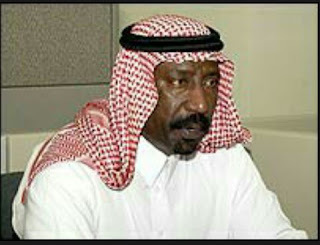 According to the BBC, Al-Beshi is “Saudi Arabia’s leading executioner.” He leads a team of beheaders that execute prisoners from all countries including Nigeria. Al-Beshi, who was born in 1961 (57 or 58 years old), claims to have executed 10 people in one day. “It doesn’t matter to me: Two, four, 10 — As long as I’m doing God’s will, it doesn’t matter how many people I execute,” he once told a newspaper in another interview. He started at a prison in the town of Taif, where his job was to handcuff and blindfold the prisoners before their execution. “Because of this background, I developed a desire to be an executioner,” he said. He applied for the job and was accepted. Al-Beshi performs executions using a sword. Occasionally he uses a gun. He also performs amputations of limbs when required under Saudi Arabia’s sharia law. He is married with seven children. He has been known to allow his children to help clean his sword. Daily Advent reported yesterday that Saudi Arabia may behead 10 of the 23 Nigerian drug traffickers on death row in the country, on the same day, any time from now! Al-Beshi cut off his first head with a sword in 1998. A Nigerian woman, Kudirat Adeshola Afolabi, was beheaded about two weeks ago, although it was not stated whether she was executed by Al-Beshi. Al-Beshi described his first execution in 1998. Al-Beshi also explained that in the case of someone convicted of murder, he visits the victim’s family before execution to seek forgiveness for the criminal. If the family forgives the killer, it can lead to the criminal’s life being spared. Once an execution goes ahead, his only conversation with the prisoner is to tell him or her to recite the Muslim declaration of belief, the Shahada. He said the prisoners become weak out of fear before they are beheaded. “When they get to the execution square, their strength drains away. Then I read the execution order, and at a signal, I cut the prisoner’s head off,” Al-Beshi said. Public beheadings usually take place in Saudi Arabia around 9 am. The convicted person is walked into the square and kneels in front of the executioner. The executioner uses a sword known as a sulthan to remove the condemned person’s head from his or her body at the neck. After the convicted person is pronounced dead, a police official announces the crimes committed by the beheaded alleged criminal and the process is complete. The official might announce the same before the actual execution. 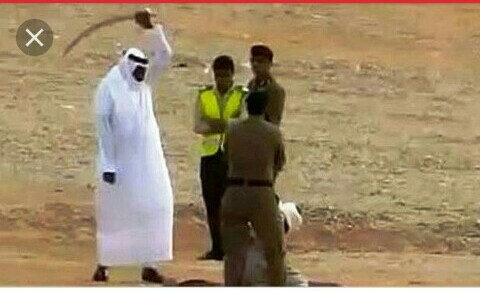 This is the most common method of execution in Saudi Arabia because it is specifically called for by Sharia law, which Saudi Arabia practices.